The long wait is over. Well, the first part of the long wait is over, because the very first trailer for Star Wars: The Last Jedi has finally arrived. The footage was revealed during The Last Jedi panel at Star Wars Celebration and, while it may not have answered all of our burning questions, the trailer delivered a whole lot for us to pick apart and try and figure out. We are here to help you take a closer look at the trailer and go over everything we learned about Star Wars: The Last Jedi at the panel. 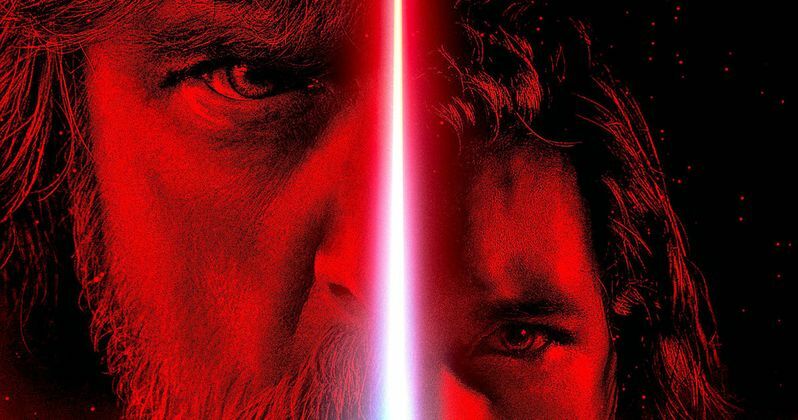 Star Wars Celebration has brought us a ton of great stuff already, but there is no question that the Star Wars: The Last Jedi trailer was the main thing fans all around the world were looking forward to heading into the weekend. Understandably so. All of the new Star Wars movies have been pretty secretive, but even with all of the new footage and reveals, Star Wars: The Last Jedi is a whole new level of secretive. Disney, Lucasfilm and director Rian Johnson are keeping this movie under lock and key until the time is right. But we still learned a lot from this footage. Because this happened at Star Wars Celebration, there was also a big, hour-long panel for Star Wars: The Last Jedi that gave us even more to think about and revealed even more about what is probably the most highly-anticipated movie of 2017. The panel included director Rian Johnson, Lucasfilm President Kathleen Kennedy and a bunch of the cast, including Daisy Ridley, Mark Hamill, John Boyega and newcomer Kelly Marie Tran. Fans of the Star Wars franchise have had countless questions heading into Star Wars: The Last Jedi, which has a lot to do with what was brought to the table in Star Wars: The Force Awakens. We can't say that many of those questions were answered at Star Wars Celebration, while more interesting questions were raised. And we learned things we had no idea that we even wanted to know. The mystery of this movie is continuing to build and unravel simultaneously. We still have about eight months to wait until the movie finally hits theaters, so we will surely be learning quite a bit more between now and then. Or maybe we won't. Again, this movie really seems to be bathed in secrecy to an almost maddening degree. With that said, here is everything we learned about Star Wars: The Last Jedi at Star Wars Celebration. Rey begins her Jedi training. There is still a lot of mystery surrounding Rey in Star Wars: The Last Jedi, but this very first trailer guaranteed that we are going to see her doing some Jedi training. This was highly suspected, given the way that things ended in Star Wars: The Force Awakens, but there is no need to speculate anymore. The very first thing we see in the trailer is Rey out of breath, looking pretty flustered, with Luke doing some Yoda-style voice over, guiding her along. We also see her doing some very sweet lightsaber moves and she even movies some rocks with her force powers. That shot was very reminiscent of the last shot in Batman V Superman: Dawn of Justice, oddly, but Rey is most definitely on her way to becoming a strong force user. And it is clear she is getting better at handling a lightsaber. It is unclear if she will finish her training, especially considering some of the other things that happen in this first Star Wars: The Last Jedi trailer. But expect a good chunk of this movie to revolve around Rey and Luke doing some training, much like Luke and Yoda did in Star Wars: The Empire Strikes Back. Luke is a disappointment to Rey. Seeing Luke Skywalker at all will be a huge deal for Star Wars fans come time for Star Wars: The Last Jedi to finally hit theaters. It will be hard to imagine a world in which we are disappointed with Luke, but that doesn't mean the main character in the movie will be equally thrilled with him. While talking about Rey at The Last Jedi panel, Daisy Ridley said, "We go deeper into Rey's story. What is very apparent from where we left off in The Force Awakens and begin with The Last Jedi is Rey has a certain expectation as to what she may be getting from Luke and what that might entail and as a lot of people know, it is difficult when you meet your heroes because it might not be what you expect." So even though Rey is being trained by Luke, it sounds like he may not be the man and the Jedi that she was hoping he would be.